Shoppers Stop plans to invest 60 cr to boost its omni-channel operations and targets to achieve 10% revenue through digital-touch points. 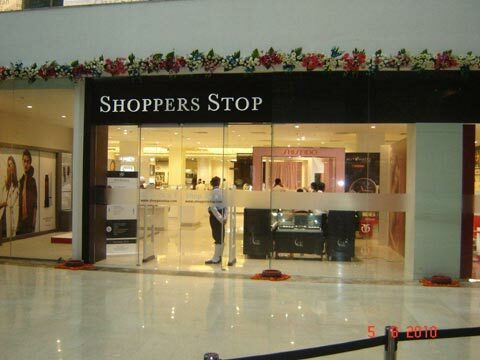 Shoppers Stop is an iconic brand and the pioneer of modern retail in India. Launched in 1991 –- Shoppers Stop introduced the Indian consumer to a world-class shopping experience for the very first time. When the brand was launched almost 25 years ago it had certainly add up the aspirational quotient to Indian consumers' shopping behaviour. The walkers by who used to stare at the merchandise staked behind the glass shelves found an opportunity to touch and feel the merchandise at its stores. Since, then the brand has walked down a great journey. Currently, the brand has 81 stores in the country as well as a website and mobile app to provide a complete am-to-pm shopping experience. And, the brand is scaling the y-on-y growth of 8.5%. Shrikande also feels that GST on the horizon is also a huge opportunity to streamline the taxation process and we will definitely see the benefits of that in the near future. The brand has partnered with hybris, an SAP company to boost its omni-channel operations. In October 2015, the brand launched its refreshed website with marked improvements in usability and navigability. New Mobile App was launched in early 2016 completing its first phase of investment in omni channel. “We plan to invest Rs. 60 crore over the next three years in our omni-channel initiative, supply chain & talent and target to achieve 10% revenue through digital-touch points,” he informed. Shoppers Stop’s mobile app has seen almost 10 lakh downloads so far. Under the new initiatives, the company has introduced a first-of-its-kind Personal Shopper service in select stores wherein customers can avail personalised assistance from in-house experts while shopping at stores. The company has also introduced new exclusive brands such as ‘Ms Taken’ (a USPL women’s fashion brand in collaboration with Actress Kirti Sanon) and ‘Love Genration’ (A women’s high street brand by fashion stalwarts Dolly Sidhwani, Bhavana Pandey and Nandita Mahtani.). “We continue our focus on taking the company omni-channel as well as strengthening our private and exclusive brand portfolio,” he added. Through various investments in platform, People & technology, Shoppers Stop will soon have a one-view of customer, one-view of order and one-view of inventory. This will allow the brand to provide its customers with a contextual, targeted, personalized and integrated shopping experience across every touch point, channel and device.